Nest currently makes two versions of the Nest Smart Thermostat the Nest (Generation 3) and the Nest E Thermostat. Both have a lot of features in common but there are several differences between the higher end Nest Generation 3 Thermostat & The Nest E. The Nest (Generation 3 Thermostat is typically priced in the $205-$249 range while the Nest E is at a lower price range typically priced at $169 to compete with the lower cost Ecobee Lite thermostat. We review the subtle differences between the Nest & Nest E below to help you choose the right thermostat. What are the Differences Between the Nest vs Nest E? The Nest (Gen 3) has a brilliant full color LED display that is similar in resolution to a tablet or phone. The display has three adjustable lighting settings for low, medium or high brightness that shines clearly even in the brightest of rooms and will not wash out in sunlight glare. The Nest (Gen 3) also includes the Farsight feature, which can display custom tailored information to you on the display of the thermostat when it detects you walking by. The Farsight feature can be customized with different faces, and information to your liking, with the full color display we imagine that nest will continue too update the available information that can be displayed on the Nest and offer more customization and thermostat faces in the future. The Nest (Gen 3) feels solid in your hands, and it’s almost irresistible to spin the outer stainless steel ring in your hands with it’s smooth but firm rolling action. Everything about the Nest (Gen 3) design is polished and sophisticated, it feels and looks like luxury. The Nest E is not made of stainless steel and instead opts for a white plastic ring on the outside, turning the outer ring feels like plastic rubbing on plastic and does not have the high end tactile feel you get from the Nest (Gen 3). The Nest Generation 3 feels like a brand new iPhone with it’s polished surfaces and seamless stainless steel case. The Nest E is more like an Android burner phone you pick up at Walmart, it does most of the same things as an iPhone, but an iPhone does them so much better, and looks amazing when it’s in your hands. The Nest (Gen 3) has a full near and far field motion sensor that can sense when you walk by the thermostat and it uses that in combination with your phones data to create auto schedules and help you save energy. Even if you don’t allow GPS tracking of your phone through the Nest App, the motion sensor located within the thermostat will still do a great job of tracking when you are home or away. The Nest E does not have a motion sensor meaning that it relies on your phones location and the adjustments you have made to your thermostat to create an auto schedule. This leads to the Nest (Gen 3) having a more accurate auto schedule and detection if you are home or away. The Nest Generation 3 thermostat comes in four colors, White, Black, Copper & Polished Stainless steel. With the multiple color options you can find the right nest to fit your decor. 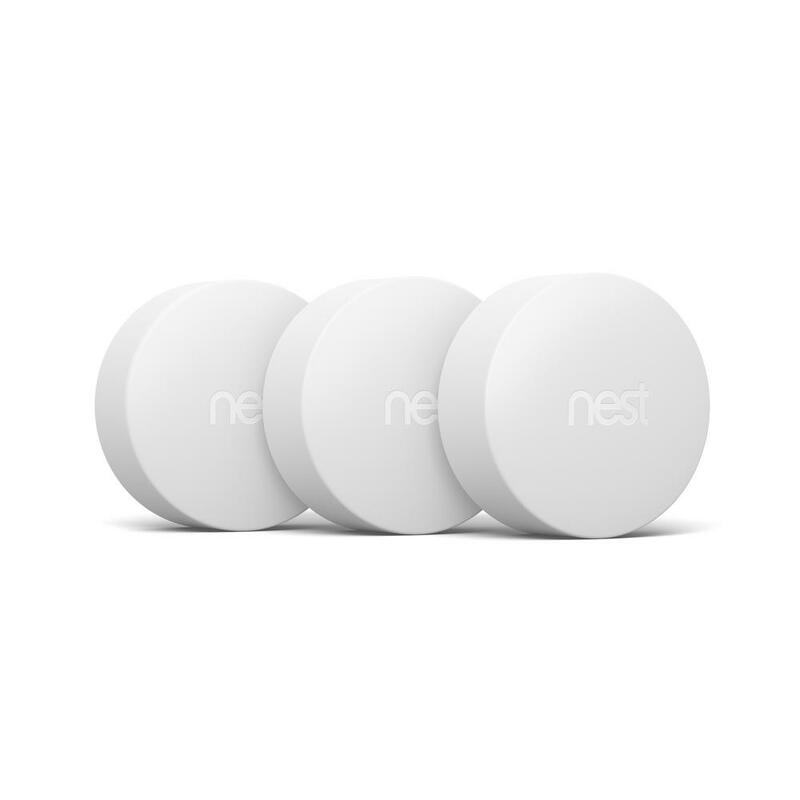 The Nest E comes only in one color, white plastic with a frosted glass face. Both the Nest & Nest E work with Amazon Alexa & Google Home. You can learn how to set up your nest thermostat for smart voice control here: How to connect your nest thermostat to Amazon Alexa. 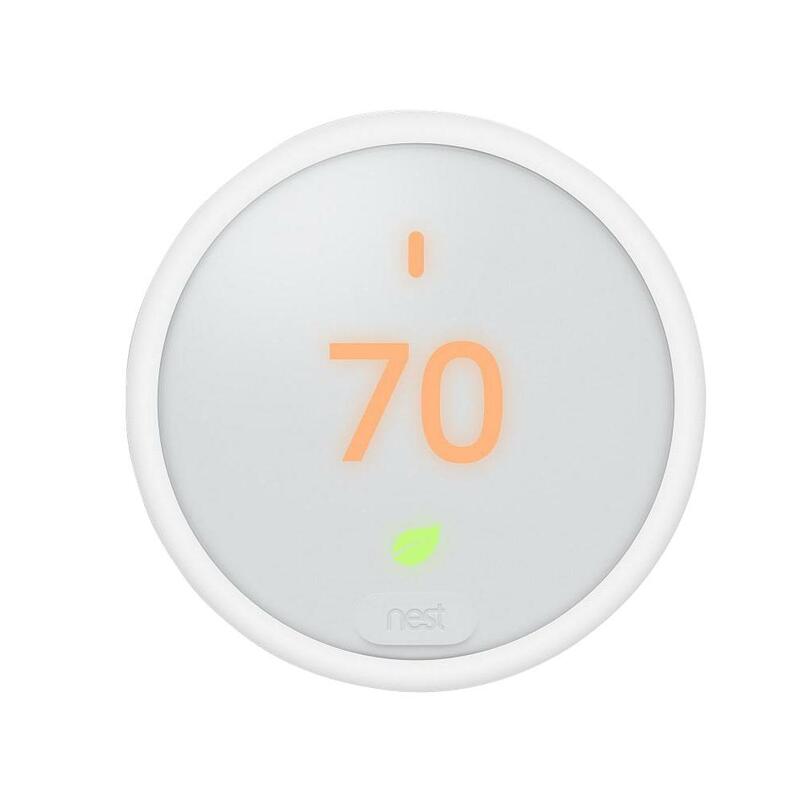 The nest E it typically $60-100 cheaper than the the Nest Generation 3 thermostat. This is the only category that the Nest E wins agains the Nest Generation 3 Thermostat. The Nest Generation 3 Smart thermostat is luxurious, and considering many people spend hundreds extra on light fixtures or design in their homes, the additional investment in the Nest Generation 3 gives you clean lines and a high end aesthetic finish that will be a conversation piece of your home. The Nest Gen 3 elevates the design of any room it’s in and will make you feel like you are living in the future. Tony Fadell the original inventor of the nest was the genius behind the iPod and iPhone designs and some of Apples best design work. Tony Fadell cared about design and looks and it shows in the latest generation of the Nest Gen 3 Thermostat. I personally have a Nest Generation 3 thermostat in my home and it has served me well since it first came out. According to nest and several studies the nest thermostat can save you on average of 10-15% on your energy bill. If you are a hyper saver and constantly adjust the thermostat remotely to save energy you can save even more. In the thousands of nest installations we have been involved with the 10-15% figure seems to be accurate. In my home I save slightly more than 15% but thats mainly due to being comfortable with a lower or higher temperature on most days to save a little bit more energy. Both the Nest E & Nest Generation 3 thermostat will help you save energy. Yes, the Nest Thermostat Gen 3 & the Nest E, both work with Alexa. Yes, you can control your heating and cooling of your nest thermostat anywhere you have an internet connection as long as your nest is connected to your home wifi network. Yes, the nest will still work like a normal thermostat and hold the temperature it was set to or go into energy saving mode if you have that setting on. Yes, the Nest E & Nest Generation 3 both work with the nest room temperature sensors. With the room temperature sensors you can remotely view the temperature in bedrooms and set the themostat to heat or cool a specific room to the desired temperature. Yes but it is a frosted colored display with fewer colors and lower resolution than the Nest Generation 3. In most cases no, the nest E does not require a common wire, but it is recommended. Most likely, nest claims 95% of all home HVAC heating systems are compatible with nest. Nest works with traditional HVAC systems, heat pump systems and multi-stage heating and cooling systems. If you have a heat pump system or a multi-stage heating an cooling system you should use the Nest Gen 3 Thermostat as it is compatible with more complex systems. The Nest E thermostat is compatible with fewer types of heating and cooling systems and typically works with 85% of HVAC systems. Does the Nest Thermostat Work With Alexa? Will a home automation system increase my home value?